SolarPowerFacts is mostly for homeowners. Most of our readers just want to add panels to their house to save on their bills. But, with the energy crisis on everyone’s minds, you’d expect to find people going solar right at the start of the build process, and that’s the subject of this post. 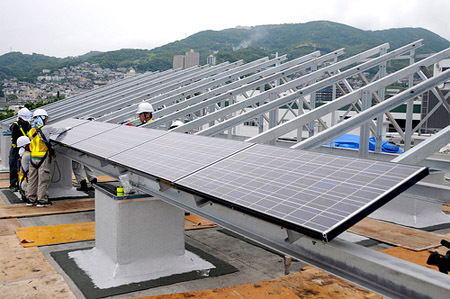 The Feds stepped up in 2006 and offered a series of tax breaks for solar builders. These were originally scheduled to run for just three years, but have been extended several times — at time of writing, they’re good until 2016. A savvy builder can save several thousand dollars per home. It’s cheaper to build-in solar than to add it on, so that money goes a long way towards paying for an installation. Then there are state-level breaks like the ones in Arizona, California and Florida. If you’re lucky, your local solar initiative will publish a list of participating builders — like this one from Florida. If not, you’ll have to do some research of your own. But you should be able to turn up solar builders in your state. But why should you buy a new solar house? Well, there’s the obvious energy savings, and the fact that it’s easier to buy an established system than to build one of your own. Plus, the provisions of our much-loved solar tax credit should still apply — the ‘in service’ date is counted from the time you move in. The same is true of many local breaks, too. 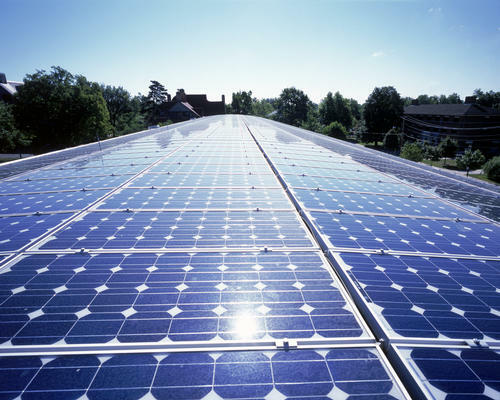 If your builder is smart enough to go solar, they’ll be able to advise you in detail. But here’s the best reason of all. A recent DOE study shows that solar homes sell at a premium, at least a couple of bucks per watt installed, and sometimes $6 or $7. Now, how about that 5,000 watt installation?